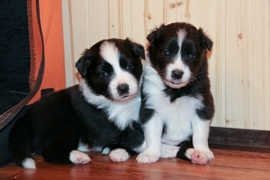 Welcome to the home of border collies kennel IRLAF. Our kennel has been registrated by FCI under number 1194/11. 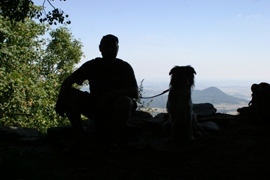 Our home is situated on the north of Bohemia in close proximity to borders with Czech republic and Germany. Even though we own licensed breeding kennel, the breeding (as such) is not foreground for us. We work out and enjoying a happy life with dogs. Our dogs are full-value parts of our family. We spend most of the time with them. Our main work we do is schutzhund sport consisting in three sections tracking (A), obedience (B) and protection (C). It's very variable sport and our dogs love it. And because we own the sheepdogs they know what the herding is. We don't have the sheeps but we take high-quality lessons of herding. 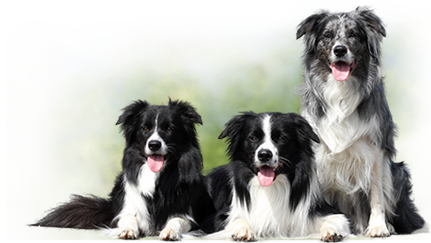 We don't spend so much time with herding but we want to have these dogs at least with basic exam. Several times a year we spend in shows. It used to be scrumptous trip to us. 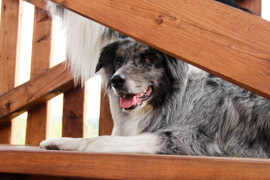 Our first border collie is Betulka - beautiful, lovely and teachable girlie. In August 2013 we have our first litter. Herewith arrived to our family Gabin and Winnie. Our all dogs are fed by raw food diet (BARF) from the beginning. The puppies are fed by the same food too however they know dry dog food. It depends on the new family. In the free time we produce dog equipment, hand made products - hernesses, leashes etc.